Recently I’ve relocated for a new exciting job and in the process have had to leave the mosaics behind for a while, therefore this most recent effort will be the last for a small time. Previously I made a mosaic tray as a gift, using a pre-brought tray then laying the mosaic over it, this time I’ve taken it a few steps further by going back to basics and making the whole thing from scratch. 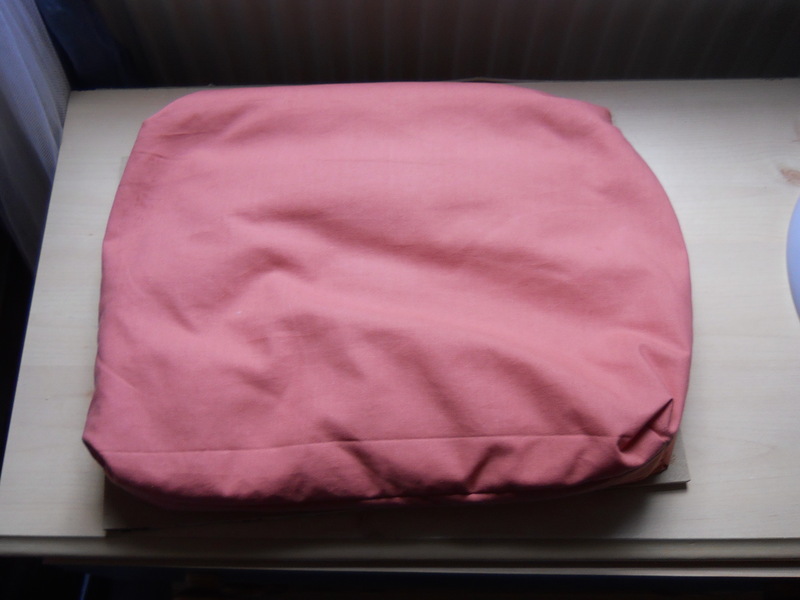 This means, buying and cutting the wooden base to size as well as making a cushioned base for it (using bean bag beans and spare fabric and for which I had help) Overall I’m quite pleased with the result. As you can see tray is more heavily classically influenced than my previous venture in this area which had a more figural and naive charm, so this has completely different feel. 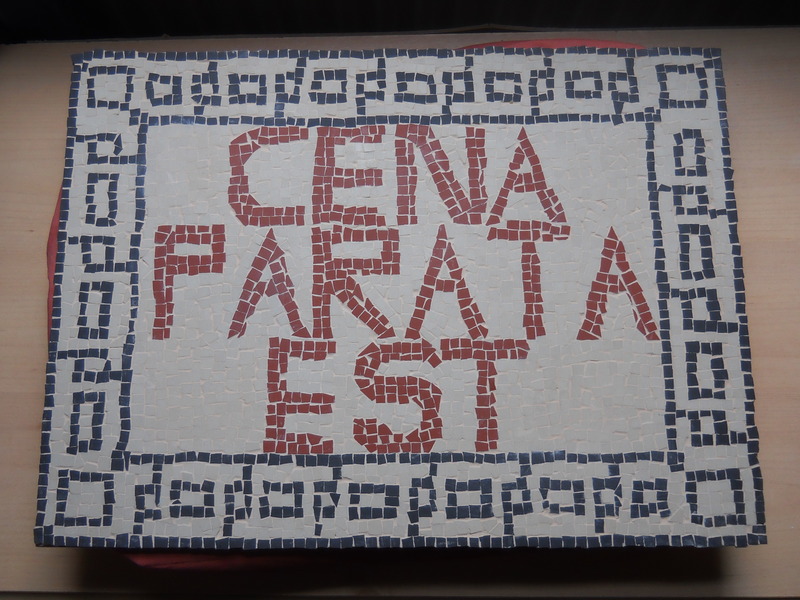 The most striking aspect of this mosaic is the slogan that takes centre stage: CENA PARATA EST which loosely translates as ‘Dinner is ready” an apt phrase for a dinner tray. To frame the phrase I’ve created a Greek meander / key style pattern, adding interest and variation from my beloved guilloche pattern, however this was not without issue as the meander pattern is rather complex and thus difficult to scale down. Ultimately the size of the tray was restrictive on this therefore it was necessary to create a basic pattern to give the effect of a meander pattern. 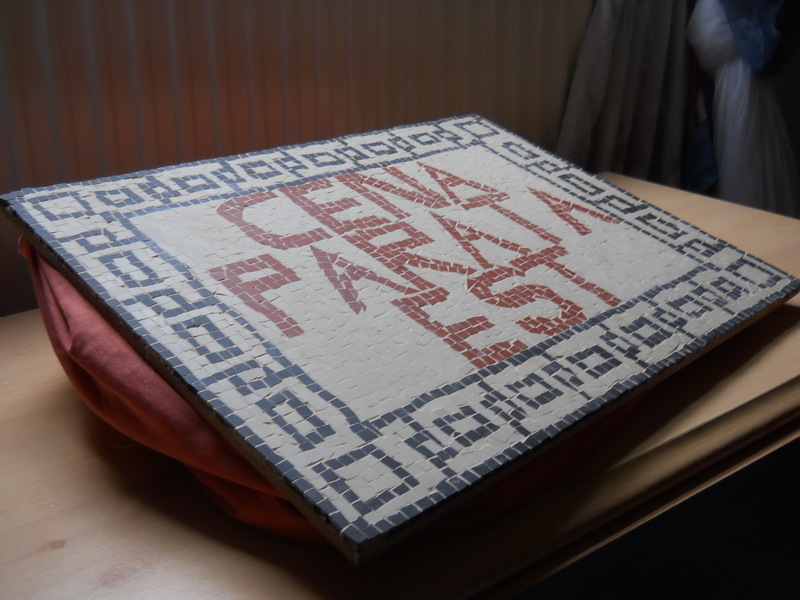 To execute a proper Greek meander would require a much larger design, a challenge I intend to accept, nevertheless given the space allowed I’m happy with my new piece and shall be dining off a mosaic for the foreseeable future.